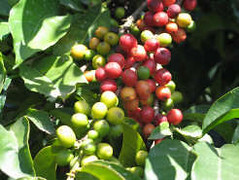 This coffee, from the Fero Cooperative, begins by picking only the ripe, red, cherries. It is quickly screen-dried on raised beds and carefully hand sorted. In the cup it’s full of intense fruit, rich aromatic spices, and a bittersweet note throughout the ever changing cup. The flavors may vary from cup to cup, but the joy and complexity of this Sidamo is worth the adventure.